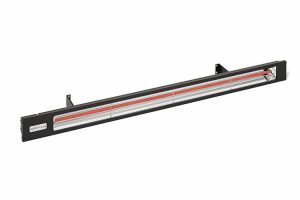 View cart “Slimline SL40 4000W Radiant Heater – Black” has been added to your basket. 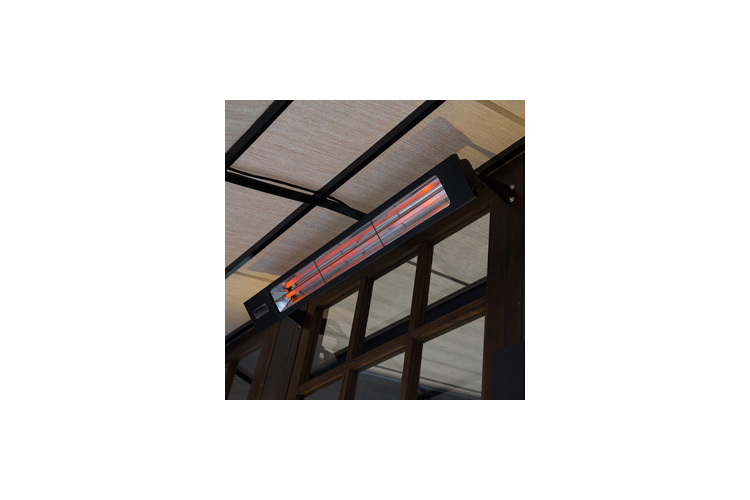 With crisp, modern styling, an anodised aluminium housing and narrow profiles, Slimline heaters virtually disappear into the surrounding décor. 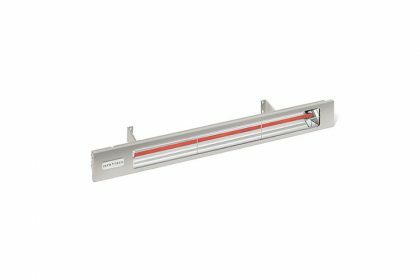 These heaters feature a durable anodised aluminium housing with an architectural finish, capable of withstanding years of outdoor use. Slimline heaters are ideal for surface mount applications up to ten feet and feature a T-slot for flexible mounting options using the included brackets. 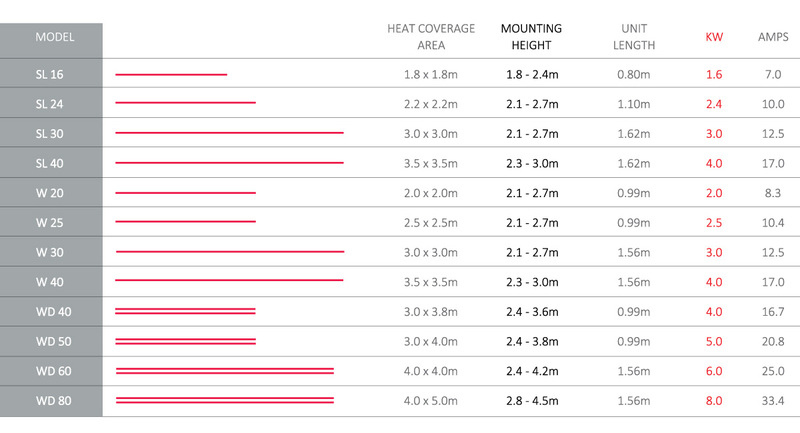 Available in 1,600, 2,400, 3,000 and 4,000-watt models. The most efficient on the market converting over 90% of electricity to heat. Approximately 25% of the cost of gas to operate. In addition, they can be installed with the low capital expense and minimal labour. 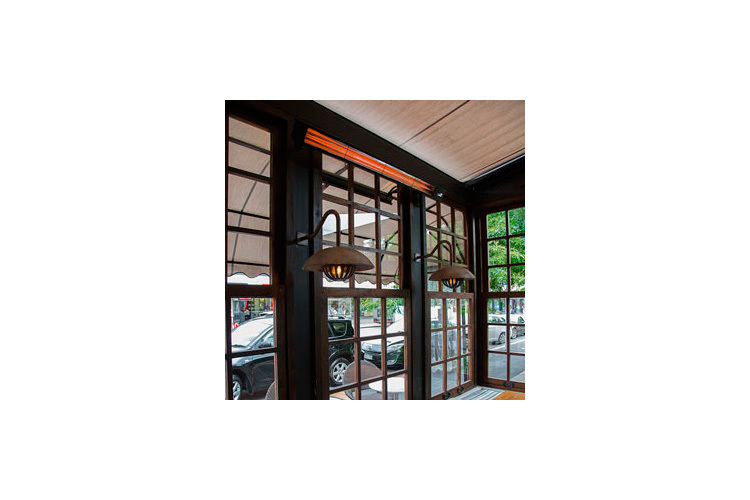 Made in the USA with 304 stainless steel facia and 316 stainless fittings, Infratech heaters feature an architectural finish that is capable of withstanding years of use. 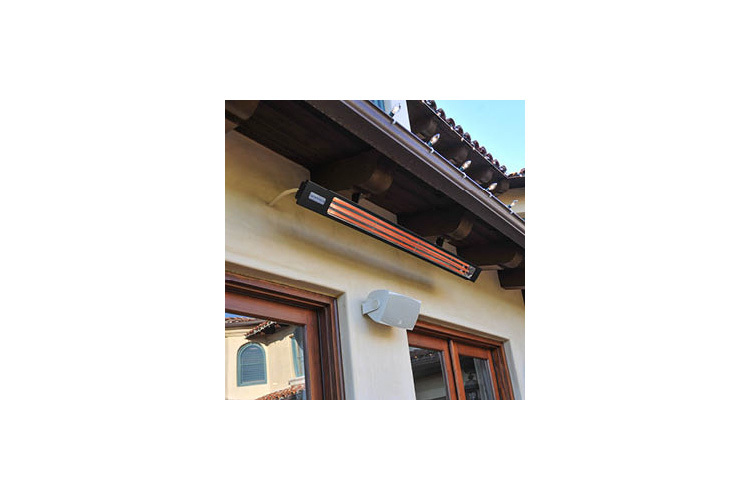 With no moving parts, heaters require minimal maintenance. Today protecting our environment is a top priority. 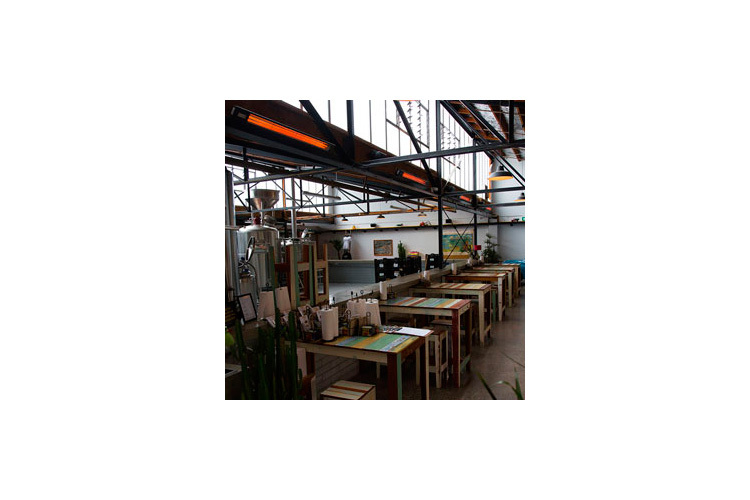 Infratech heaters create no CO2 emissions, unlike gas-fired heaters, meaning you can heat your space without negatively impacting the environment. With crisp styling, an anodized aluminium housing, finishes to suit surroundings and very low profiles, the new Slimline heater can virtually disappear into your surrounding decor. 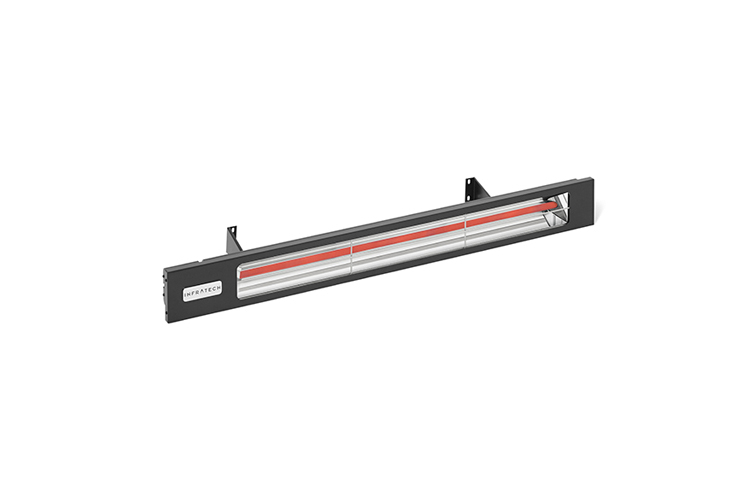 Infratech heaters are available in various lengths and outputs to suit any area and mounting height. Dimmer controls are available. 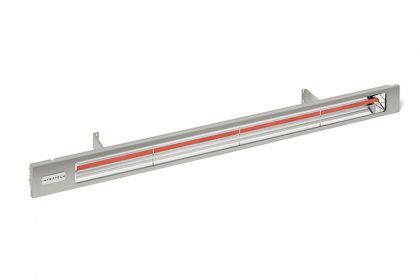 Slimline heaters, providing narrow profiles for wall mounting, are available in brushed stainless, and matte black finishes. Dual element w-series heaters are available with recess kits, for ceiling flush-mounted installs.